The Yamaha PSR-S950 is packed with amazing Voices, Styles and comprehensive features to help you create, arrange, perform and record your music in any genre. 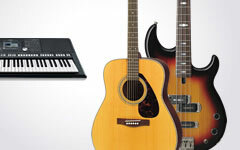 Yamaha's cutting edge sound innovation takes a step further with "Audio Styles." Audio Styles give your performance greater expressive potential by adding real audio drum and percussion parts to Yamaha’s Guitar Enhanced Style engine. Additionally, the built-in FlashROM lets you load new Voices and Style Expansions (VSE) from around the world. Mega Voices feature various playing techniques and performance sounds like guitar and bass finger slides, brass falls, vocal effects, etc. When used in Styles, Mega Voices provide some of the most realistic-sounding and dynamic accompaniments. Playing a Style is like being the conductor of a band that always plays the chord and arrangement you tell them to play. The new PSR-S950 has a huge set of 408 built-in dynamic Styles. Audio Styles take one step further by adding an audio recording of studio drummers, percussionists and percussion ensembles playing in various recording studios from around the world. This adds the natural feel, ambience and warmth to the drum and percussion parts of the Style, giving your performance greater expressive potential. Yamaha Time Stretch Technology allows the audio to follow your tempo changes without changing pitch, so everything stays in perfect sync. Guitar-Enhanced Styles not only reproduce the sound of guitar playing, they reproduce the actual chord voicings used by guitar players. This adds to the overall realism of the Style. Whether you sing for fun, enjoy karaoke or are a singer/songwriter, the PSR-S950 provides everything you need to perform or write. Just plug in your mic and sing! A powerful Vocal Cancel function effectively cancels or suppresses signals like vocals and solos that exist in the center of an audio file, allowing you to make your own “minus one” track and sing “karaoke” style with just instrumental backing. 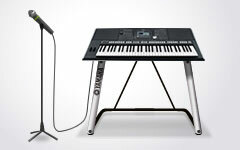 The PSR-S950’s microphone input lets you connect a microphone and sing along with your keyboard performance, Song or audio file playback. 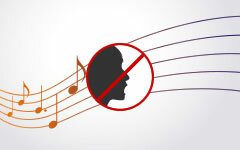 With Vocal Harmony you can sing along with three of your own virtual background vocalists. Vocal Harmony2 takes that a step further with new pitch recognition and stability controls. A convenient real-time Mic Level indicator is included in the main display, and a new intuitive graphic user interface makes it easy to experiment with your own mic settings, effects and harmony types. To get you started, PSR-S950 includes 44 exciting Vocal Harmony presets, including male, female Voices, SFX settings. The large LCD display can show lyric, music notation or text. You can even display this information on an external monitor. In music production, the key to creating great sound is in the way the song is mixed. The mixing console lets you mix your music like a studio engineer; including balance, panning and professional studio Digital Signal Processing (DSP) borrowed from Yamaha’s renowned professional recording and live sound products. Real Distortion effects are based on digital models of classic guitar amplifiers from the 1960's and 1970's. There are also digital models of legendary analog guitar effect pedals. The result meticulously reproduces the frequencies and dynamics of real distortion guitar sounds. A larger speaker box gives the PSR-S950 a full, powerful sound with deep lows and clear highs. The PSR-S950 features a Yamaha manufactured digital amplifier with a superb signal to noise ratio. Because of its fully digital, highly efficient design, the amp delivers high performance while significantly reducing energy consumption. 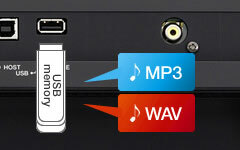 The PSR-S950 is capable of playing back and recording audio files. It also has a number of audio manipulation features you can use to create “karaoke” style “minus one” tracks in the key and tempo of your choice. It can also play back audio files from its Multi Pads, great for triggering loops, vocal phrases and sound effects. The PSR-S950 conveniently supports MP3 and WAV audio file playback. Not all singing voices have the same range. The PSR-S950 can put your favorite song in the key of your choice with a powerful pitch shift feature that lets you change the key without changing the tempo. If you do want to change the tempo, you can use the time stretch feature to slow down or speed up the tempo without changing the pitch. Record your songs and performances as high-quality, uncompressed WAV files to share online or burn to a CD. Connect a microphone or guitar to the instrument and enjoy recording a guitar and keyboard performance together, or record your singing along with song playback. Thanks to Yamaha’s new Voice & Style Expansion packs, players can take advantage of a wide and ever-increasing selection of authentic sounding Voices and Styles from around the world. Load them to the PSR-S950's built-in FlashROM (64MB) and instantly play authentic sounds, rhythm and backing in the musical style of your choice! The PSR-S950 connects and interacts with your mobile devices and tablets. Plus, Yamaha’s growing number apps for iPhone, iPod and iPad bring new ways to interact with. Use the auxiliary line in jacks to play along with apps like Yamaha’s “NoteStar” digital sheet music with real audio backing tracks. Or, just play along with your favorite tunes from your music library. With Yamaha’s i-MX1 MIDI interface for iPhone, iPod and iPad, you can experience a new dimension of MIDI control with apps like Yamaha’s Scale Tuner, Piano Diary or Faders & XY Pad. 62 Super Articulation Voices, 23 Mega Voices, 27 Sweet! Voices, 64 Cool! Voices, 39 Live! Voices, 20 Organ Flutes!